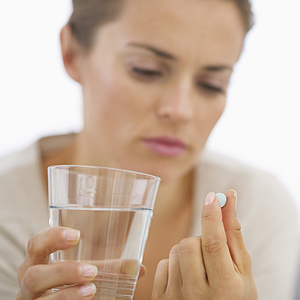 Millions of Americans regularly use ibuprofen to manage minor pain and swelling. As with other fields in healthcare, the drug is a mainstay in dentistry especially for post-procedural discomfort. But ibuprofen and similar drugs also have side effects that can lead to serious health problems. So, should you be concerned about its safety? For most people, ibuprofen is safe and effective — but only if used properly. Like aspirin, ibuprofen is a non-steroidal anti-inflammatory drug (NSAID) that reduces pain and inflammation by blocking the effect of substances called prostaglandins, released by injured or damaged tissues. NSAIDs differ in mechanism from pain relievers like steroids or narcotics and don’t have the same side effects, especially the addictive qualities and impaired consciousness potential of narcotics like morphine or codeine. While these more potent drugs are usually reserved for serious injuries or illnesses, NSAIDs like ibuprofen are ideal for mild to moderate pain following routine dental work. The biggest concern for the use of an NSAID is its tendency to thin the blood, especially if used continuously over several weeks; this can make bleeding control more difficult after an injury. Prolonged overuse has also been linked to erosion of the stomach lining leading to ulcers or bleeding, kidney failure, early miscarriage and repeat heart attacks for patients with cardiovascular disease. With this in mind, we recommend that adults take no more than 2,400 milligrams of ibuprofen during one twenty-four hour period for short-term pain relief unless otherwise recommended by a doctor. Research has shown that a single 400-milligram dose of ibuprofen is safe and effective for relieving even severe post-operative pain for about five hours in most people. On the other hand, we don’t recommend a NSAID during pregnancy or for people with a history of intestinal bleeding or heart attacks. Taking into account your medical history and the procedure you’ll be undergoing, we will recommend the best pain management medication for your situation. In most cases, ibuprofen will be an effective means to reduce your discomfort level and, taken properly, will not pose a danger to your overall health. When is Bone Grafting Needed? Could Bone Grafting Improve Your Bone Health? Could a Periodontist Help Me? Why is a Periodontal Flap Surgery Necessary? What Does a Periodontist Do? When is it Time to Consider a Tooth Extraction? When You Should Consider Bone Grafting? What Makes a Periodontist Different?